...and there are many species to choose from. This plant however gets pretty bad reviews time and time again from home and business owners. It is unfair really, because its "ugliness" is not its fault at all! 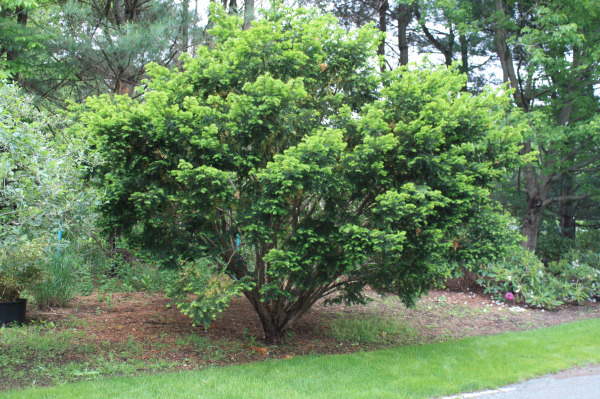 Yews look ugly because they are pruned incorrectly ALL THE TIME! They are sheared to within an inch of their lives - into balls, cones, and even squares. Now what plant out in nature ever grew into the shape of a square? No wonder these poor plants are loathed. Just look at this natural shape and size. What's not to love? This plant is totally hand pruned.